Most of us already know that choosing solar has significant financial and environmental benefits for homeowners, but there are questions you must answer before you see your meter run backwards. Most importantly perhaps – how will you finance your system? Thankfully, there are solutions for every budget. There are two main financing options available to you installing a solar energy system. You can either buy the system like buying a house, or do a 3rd party ownership model; lease or Power Purchase Agreement (PPA), which is more like leasing a vehicle. Both have benefits. Owning a system is the best way to maximize your financial savings and returns. All the savings come directly to you. You can realize a return on your investment of between $75,000 to $100,000 over the lifetime of your solar panels. Buying a household system yourself usually costs between $10,000-$20,000 after tax credits and incentives. If you don’t have that kind of capital to invest, many lending institutions offer loans that are specific for those interested in going solar. Long Island lender, Nassau Financial Federal Credit Union now offers a solar loan. With loans, you can own your system with zero money down. If you own your solar panel you can also take advantage of the Investment Tax Credit (ITC). A federal tax program that helps homeowners pay for solar projects. The ITC lets you claim 30% of the cost of your system when you file for your tax returns. For anyone who may be retired or does not pay a lot in annual income taxes, note that you may be unable to qualify for the tax credits. In this case, leasing may be a good option as the leasing company will be assigned the tax credits on your behalf and pass them on to you in the form of a lower monthly payment. Leasing is also a good option if you don’t want to pay the upfront costs or take out a loan on your system. Be advised, however, that leases usually require a credit score of 650 or higher. When you lease your system, you sign an agreement with the company that owns the solar equipment. In exchange for a set monthly payment, they install the solar system on your property for you to use, and you enjoy the electricity produced for the duration of the contract, which is typically 20-25 years. One important thing to note with a long-term contract is to find out whether the lease or PPA rate increases each year, and at what rate. Note that historically electric rates have increased over time, but in the last ten years, New York State rates have increased by around only 1% annually on average. If the contract calls for a higher annual rate increase than this, you may want to ask for a lower rate, or no rate increase at all, to make the lease more attractive. We recommend that homeowners get proposals from at least three reputable Long Island solar contractors. Long Island Green Homes can help you identify those contractors. Visit our Solar Referral page. Solar panels are very durable, and require little to no maintenance over their average 30-year lifespan. If you’re worried about maintenance costs, however, a solar lease could be a better option for you. The company that owns the panels will be responsible for any repairs that the panels might need. 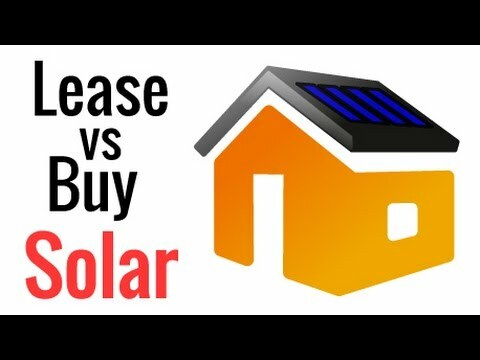 You now know the difference between buying and leasing solar energy systems. Generally, Long Island Green Homes recommends purchasing/financing over leasing your solar system. If you do choose to lease your system, we encourage you to have the contract reviewed by an attorney, paying particular attention to language relating to an annual rate increase.